Plantar fasciitis is the most common cause of heel pain, and it affects an estimated 10% of adults at some point during their lifetimes. Dr. Dustin Hubbard and Dr. Ralph Dixon at Fairbanks Foot and Ankle have extensive experience treating plantar fasciitis, helping relieve their patients’ pain so they can get back to their normal activities. When you develop heel pain, call the office in Fairbanks, Alaska or use online booking to schedule an appointment. 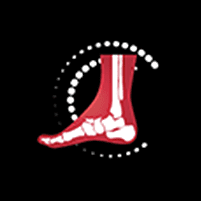 The plantar fascia is a band of connective tissue that connects your heel bone to your toes. Its job is to support the arch and serve as a shock absorber that protects your foot from stress. Plantar fasciitis occurs when too much pressure, a small tear, or an injury causes inflammation and heel pain. Since stress, damage, and inflammation often develop over time, you may not be able to pinpoint the cause of your heel pain. You may be able to prevent the problem, however, by talking with the doctors at Fairbanks Foot and Ankle about ways to diminish the factors that affect you. The primary symptom of plantar fasciitis is heel pain -- often severe, stabbing pain -- although symptoms vary from one patient to the next. In most cases, you’ll notice the pain more when you stop an activity rather than during exercise, but there are two exceptions: The pain is worse with your first steps after resting and during activities that put a lot of pressure on your foot. You may need to apply ice to relieve inflammation and rest to eliminate stress on your foot, which could include reducing or temporarily stopping activities that contribute to your pain. Tight muscles aggravate plantar fasciitis, so your doctor may also recommend stretching exercises. Corticosteroid injections significantly relieve inflammation and pain. Supportive shoes with heel inserts or thick soles help relieve stress on the plantar fascia. Your doctor at Fairbanks Foot and Ankle may prescribe a splint to wear while you sleep, which helps relieve the problem by gently stretching the plantar fascia. As sound waves reach the plantar fascia, they relax muscles and soft tissues, stimulate blood flow, and reduce swelling. The boost in blood flow stimulates healing as it delivers oxygen and nutrients. If your symptoms persist after roughly 12 months of conservative treatment, surgery may help relieve tension on the plantar fascia. Relief is available for your heel pain. Call Fairbanks Foot and Ankle or book an appointment online.